Stampin' Up has released the retirement list for this current 2015-2016 Annual Catalog and the Occassions Catalog! It's that time again: Stampin' Up! is getting ready to retire stamps and accessories from BOTH the Annual and Occasions catalogs. As sad as it is to see these products go, there's still time for you to get them before they're gone. Plus, retiring products have discounts of up to 50%! 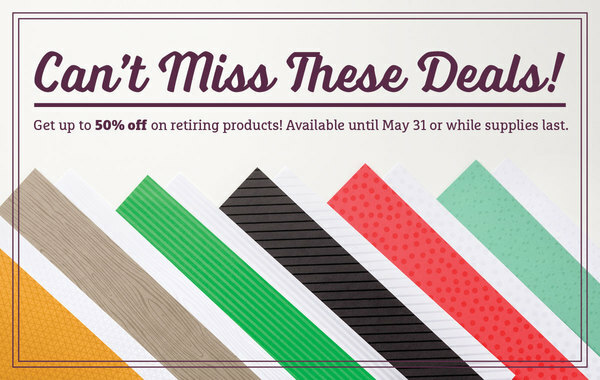 Retiring products will only be available until May 31, or while supplies last, so SHOP NOW before they're gone! If you want to look through your catalog, here's a Retiring List that you can print out. 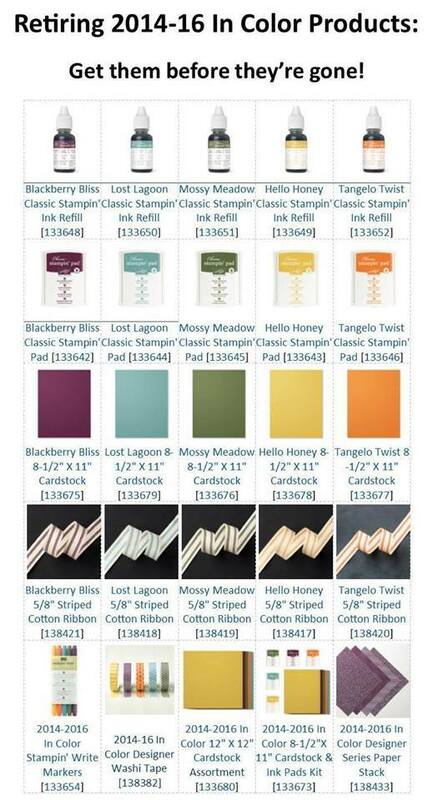 Or you can look online at the Retiring Stamp Sets and Retiring Accessories. Iridescent Ice Stampin' Emboss Powder  **MY FAVORITE embossing powder EVER!!! Shop Now to get what you want before it's GONE! !